Like any charitable organization or non-profit group, The Veteran Tickets Foundation 501c(3) relies solely on the generosity of the public and our constituents for donations and financial support in carrying out our mission of enriching the lives of our Military and Veterans by providing reintegration opportunities and family bonding experiences through socially interactive events. Veteran Tickets Foundation hopes that you, your business and/or your corporation will consider making a donation or help by sponsoring our Tickets for Troops or Hero's Wish Programs. We cannot carry on this mission without YOU! There are a number of ways you can support Veteran Tickets Foundation! Choose any of the following that best fit your ability to help! If you have event tickets or gift certificates (merchandise or restaurants) that will go unused, consider donating them to Veteran Tickets Foundation. Event tickets, gift certificates, and gift cards will be used for the Tickets for Troops and Hero's Wish programs. In all cases contributions of this kind will benefit our Military, Veterans and their families. If you would like to donate your event tickets or similar items please visit our ticket donation page. All event ticket contributions to Veteran Tickets Foundation are tax deductible under section 170 of the IRS Code. Your monetary contribution will directly support the work of the Foundation. Funds are distributed to support our Tickets for Troops and Hero's Wish programs. Veteran Tickets Foundation: we strive to keep administrative costs as low as possible so that more of your gift directly supports our programs. Donations of any amount are accepted and will help provide more event tickets for those who are serving or have served this great nation. All monetary contributions to Veteran Tickets Foundation are tax deductible under section 170 of the IRS Code. Donate Online Now by clicking below! 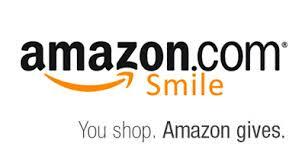 Have a portion of your purchases on Amazon benefit Veteran Tickets Foundation click here to view instructions to start using Amazon Smile Today. Do you sell items on Ebay? 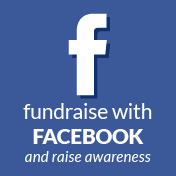 If so you can include us as your charity of choice. To include us, just search for Veteran Tickets Foundation as a cause, choose the amount you would like to donate and then start selling. For more information click here to view our ebay causes page. 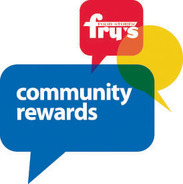 You can now earn donations to Veteran Tickets Foundation (Vet Tix) while you shop at Fry's! For more information click here to view our Fry's Information Page. A free, convenient service for converting that extra car, truck, or RV into a tax deductible donation benefiting Veteran Tickets Foundation. You can donate online or call 877-999-8322 to make your donation. Don't donate your car or truck to some charity you have never heard of. Our trusted service makes sure your vehicle is properly handled so you get your tax deduction and your charity, Veteran Tickets Foundation, gets the benefit of your donation. A charitable bequest is simply a distribution from your estate to a charitable organization through your last will and testament. 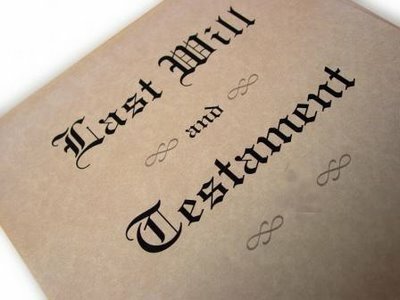 There are different kinds of bequests. For each, you must use very specific language to indicate the precise direction of your assets, and to successfully carry out your final wishes. In any charitable bequest, be sure to name the recipient accurately. A bequest to The Cancer Society might go to national headquarters, when you meant it to go to the affiliate in your community. Your estate is the sum of your assets, including property you own, insurance policies, retirement accounts, cash on hand, etc. Wealthy people may have very large estates, but even people who aren't wealthy often have the resources to make a charitable bequest. If every adult in America made a will and included a bequest of just $100, billions of dollars would flow to charitable causes every year. "I give, devise, and bequeath to VETERAN TICKETS FOUNDATION, the sum of $________(or a description of the specific asset), for the benefit of VETERAN TICKETS FOUNDATION and its general purposes." "I give, devise, and bequeath to VETERAN TICKETS FOUNDATION, the sum of $_______ (or a description of a specific asset), for the benefit of VETERAN TICKETS FOUNDATION to be used for the following purpose: FULFILL HERO'S WISHES. If at any time in the judgment of the trustees of VETERAN TICKETS FOUNDATION it is impossible or impracticable to carry out exactly the designated purpose, they shall determine an alternative purpose closest to the designated purpose." 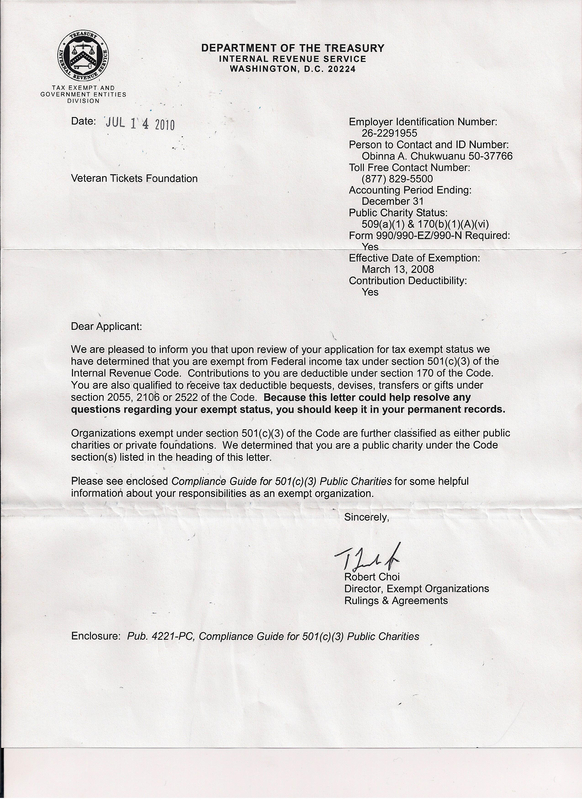 "All the rest, residue, and remainder of my estate, both real and personal, I give to VETERAN TICKETS FOUNDATION, for its general purposes." "I devise and bequeath the residue of the property, real and personal and wherever situated, owned by me at my death, to (name of beneficiary), if (she/he) survives me. If (name of beneficiary) does not survive me, I devise and bequeath my residuary estate to VETERAN TICKETS FOUNDATION, for its general purposes." For more information on why and how to give to Veteran Tickets Foundation using your last will and testament please visit LEAVE A LEGACY. If you have the opportunity to be part of the Combined Federal Campaign, check box 44909 and donate to the Veteran Tickets Foundation. 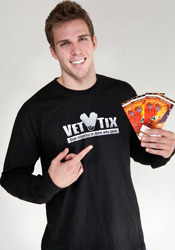 This is the one and only place to purchase your Vet Tix merchandise! Inside the store you will find Vet Tix Shirts, Jerseys, Hats, Pins, and other fine quality products. Help us spread the word by wearing one of our shirts to the next free game you attend from Vet Tix. Question - What happens with purchase proceeds? Answer - Any profits from the merchandise goes directly to the Veteran Tickets Foundation mission. For information about corporate sponsorship opportunities please contact us. If you have a blog, a diary, a social network profile, post on forums or message boards or if you have your own website, you can always help us spread the word by linking to us! Link to Veteran Tickets Foundation! Click here to get your logo banners and linking codes! Click here to get your poster sized banners and flyers and linking codes! You can promote the work of the Foundation simply by saying "Thanks" to the next Veteran or Currently Serving Member of the armed services you see. Spotting a Veteran is easy. Look at the license plate of the car parked next to you at work. You may find the individual is a Purple Heart recipient or simply a Veteran of the Armed Forces. Stop by a local recruiting station, nursing home, VFW, or American Legion and simply say "Thanks". My name is Lt Bernard Mutz. I have been serving proudly in the USAF for the past twelve years. I just returned from a 7 month deployment. My wife has been a huge Aerosmith fan since childhood. She has twice had tickets to this concert and both times had the tours cancelled due weather. I would love to be able to surprise her with tickets to Aerosmith at MGM in Las Vegas in June 2019. She has been the rock and constant for our family and has filled the role of mother and father flawlessly to my two children, 5 and 3. I thank you for this opportunity. My name is SSG Pamela Garcia. I am on month 5 out of 9 and by the time I return home it will be exactly 12 months of being away from my adorable Princess (Anna). Her dream for the past few years has been to go to Disney World. My wish is for three 5-day park hopper plus passes for Disney World. Being a single mom in both roles is difficult, just a week ago my Anna asked me if we can please go to Disney Upon my redeployment at the end of the summer, especially because I missed her last birthday and upon my return will be two in row. I love the military and serving my country but it is time to recognize also the time I have to be apart from my little one. My Mother Maria is an amazing Angel that has supported my dreams of being in the military and been an Angel taking care of my princess while I am not around. I would really appreciate if you can support me with our wish, it will mean the world to us. Sadly, not even two months after my return I have to go to another training that will enhance my career but will pull me away too soon from my princess, and so being able to take her to Disney World with Grandma (My mom) as she wishes will help comfort for a little-bit and make new memories for the ones missed. Anna will be 7 Years Old on June, I have not been there to accompany her to blow her candles, since her 5th birthday. Sometimes we think of how hard is t be away from our families and how sad it makes us, then yet how sad makes them when we are away not cherishing moments that are so important to all of us. Thank you for the support and helping us make this wish come true. Hello. 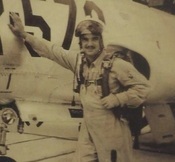 My father, Capt. Carl E. Jackson, is MIA from Vietnam as of June 27, 1965. We never got a body back - only a few personal belongings. We were told several different stories about what might have happened to him and will never truth from fiction. Initially, we were told he was KIA. We later found out that there was an attempt to rescue him from a POW camp in October, 1966. Dad was a Captain at the time of his Vietnam incident. I am not sure how many deployments he was sent on as I was only 10 when the incident occurred. I do know that he was away from home a lot. My father was away much of my life and aside from the trips to visit grandparents, there was only one vacation that we went on. That is one of the dearest memories that I have of him. I would like to take my husband, children (daughter, son-in-law, and son), and my grandchildren (girl, boy, and one on the way) to Disney World so that we all can have our own memories. I thank you for your consideration. My name is SSG Donald Watson, I would love to surprise my family of 5 with a post deployment vacation to Disneyland. My family has supported me through every deployment, training and I want to thank them. 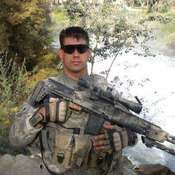 I have been active duty for 11 years and I have deployed twice to Iraq, once to Afghanistan, once to Korea and I am currently deployed. Through these deployments and trainings I have missed many holidays and special occasions. My daughter is now 7 and I have only been present for her 2nd birthday. I would love to take this vacation in September for her birthday before my next possible deployment in late 2020.